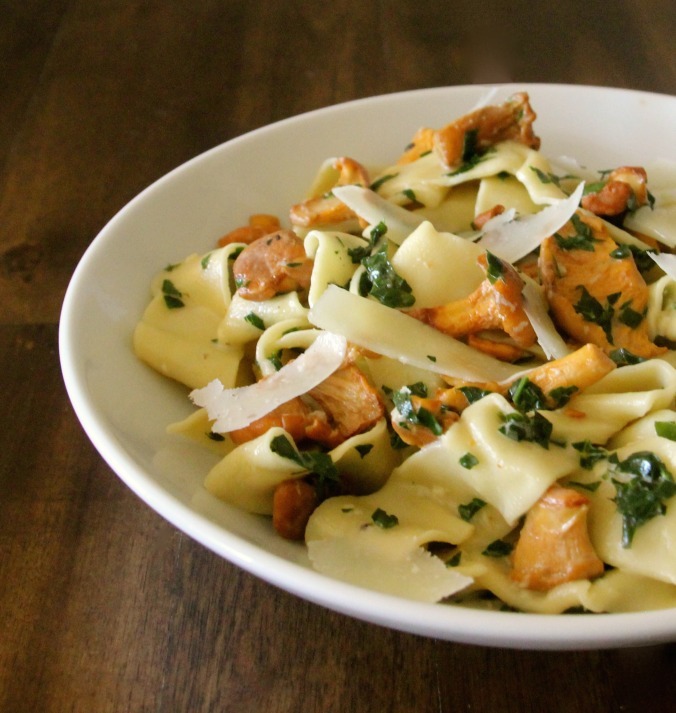 Start with freshly made pasta prepared in a food processor. I followed this recipe. Add the freshly made pasta to salted boiling water. Stir once to separate pasta. Cook until al dente or about 5-6 minutes. 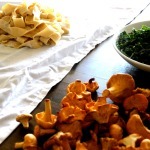 While the pasta cooks, carefully clean 2 cups of chanterelles, removing any dirt. Cut into bite sized pieces. Some can be left whole based on their size. Finely shred 1 cup of kale, stems removed. In a sauce pan, sauté the minced garlic for a minute or so with 1 tablespoon of butter. Add the shredded kale, chanterelles, and the remaining butter to the pan. Cook until soft, about 5 minutes. Add 1/2 cup of heavy cream and stir. Season with salt and freshly ground pepper to taste. 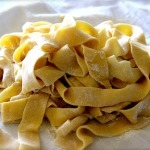 Drain and add the cooked pasta to the pan plus 1 cup of pasta water, and stir to coat. Remove from heat. 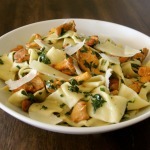 Serve pasta with freshly shaved or grated pecorino romano cheese.